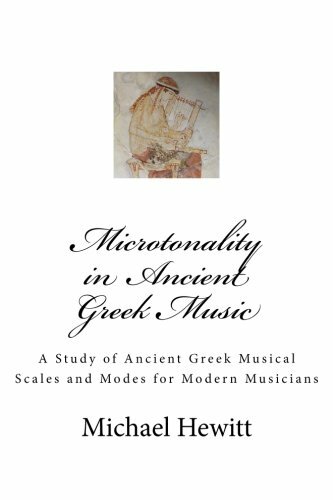 This book represents a study of the fascinating subject of the musical scales and modes of ancient Greek music. Although it is well known that the West inherited it's musical scales from ancient Greece via the church, less well known perhaps, is the fact that ancient Greek musicians enjoyed the use of a much wider spectrum of scales and modes, many of which used microtones. Included is a study of these scales and modes, together with the information required for those musicians and composers who may wish to try these scales out in their own music productions. Utilizing the fine tuning capabilities of modern music software, this represents an intriguing and ever-growing area of musical research and development which should interest every open-minded musician. The author Dr Michael Hewitt is a composer, author and lecturer currently living in North Wales. He earned a bachelor of music degree from the University of London and a masters degree and doctorate from the University of North Wales, Bangor. He is author of numerous books on music including the very popular series of instructional books for computer musicians. These include Music Theory, Composition and Harmony for Computer Musicians.